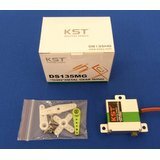 The KST DS135MG Mini Wing Servo is an amazingly good metal cased wing servo. It is exactly the same size and has 90% of the performance and build quality of the market leader, for 40% less. Like the more expensive servo it has no geartrain slop. Unlike the other it comes with a well fitting anodised alloy output arm. At only 10mm thick this great wing-servo can easily fit in thin glider and jet wings. 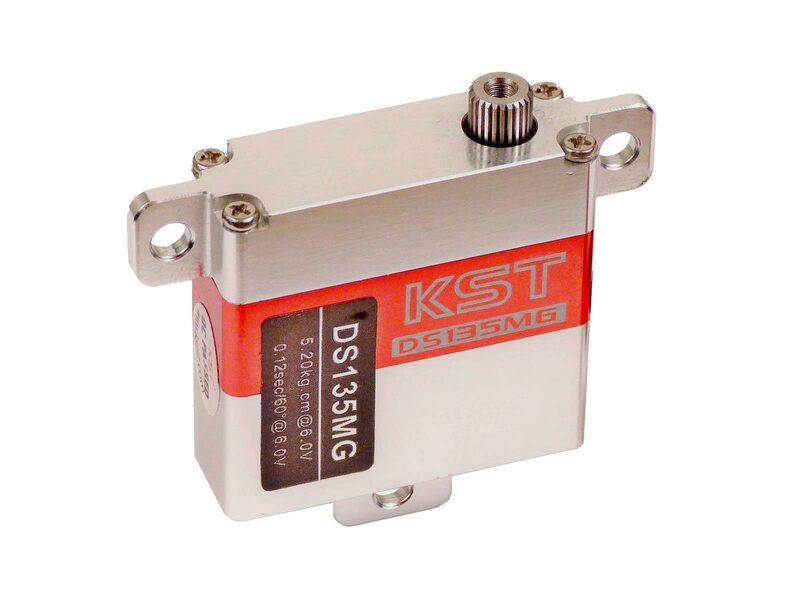 With a massive 5.2kg.cm torque the KST DS135 is appropriate for F3F, F3B, F3J, F5J, all fast gliders, and jets. 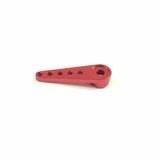 Tags: High performance metal case 10mm thick mini wing servo. 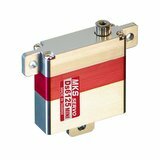 MKS DS6125 Mini, HS-125MG, HS-5125MG wing servo copy clone. 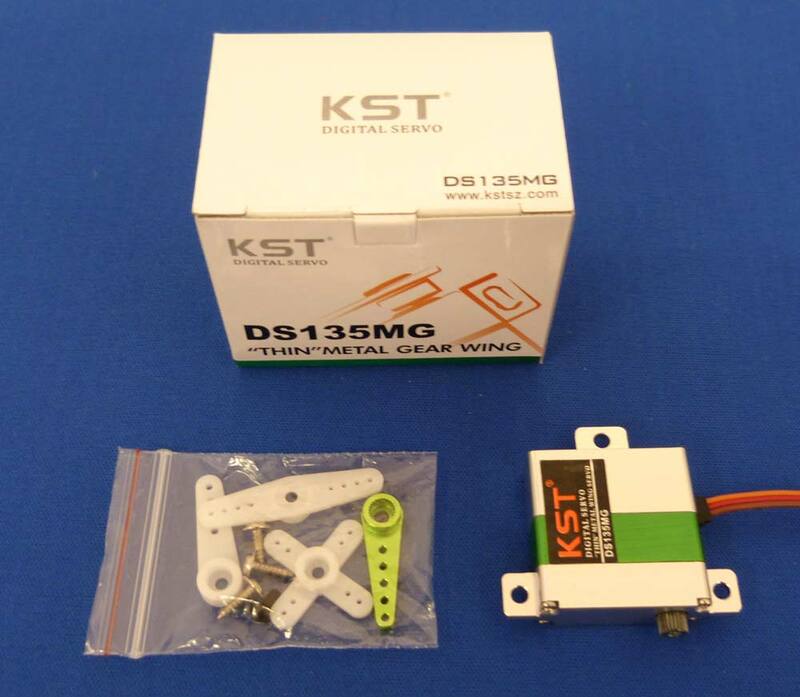 We're pleased you would like to review KST DS135MG Mini Wing Servo - 5.2Kg.cm 0.10s 23g 10mm. Very ... very fast delivery. I ordered these over the Christmas/New Year period and delivery was very quick. These were purchased to replace the aging (worn) wing servos in an X Models 2.5m Swift glider. 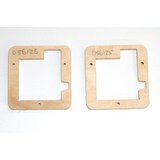 The visual quality is on a par with Servos that cost twice as much. Having fitted them the control surfaces are now totally slop free. I flew the glider yesterday and the control response felt very precise and locked in, even though conditions were on the marginal side for this glider. Still to give them a real test at ballistic speeds but I feel confident these won't dissapoint. KST servos will be my go to servo from now on as will Hyperflight. Great service from Niel. I was in a rush after burning out my Flap servos on my Typhoon on a late Thursday night, Ordered them then and there and they arrived for me 9am Saturday morning. Was back out on the slopes again that afternoon!. Really impressed with these little things, extremely quick with very high holding power for its size!. Definitely will be ordering more for my ailerons!. Nice thin wing servos which centre well. I bought 4 of these following recommendations from other RC flyers. They centre perfectly with no slop and movement transition is very smooth. 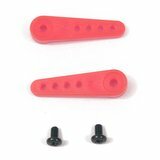 I would highly recommend these servos to others and next time I need slim wing servos I will buy more of these without hesitation. Delivery from Hyperflight was very quick i.e they arrived next day from ordering. I'm a very happy customer. Before def fixing in frames,I did some testing with a fresh loaded 4,8 nihm! Thanks HyperFlight for the service. Brilliant servos that I use in all my planes. Unbelievable value for money. Quality servo with quality service to match from Neil. I am very familiar with the servo but I could not find it anywhere as they where all sold out. I am very happy that I found this website. Price was compatible and the shipping time was acceptable. Thank you so much. I am very satisfied with this purchase. I will definitely use your services again. 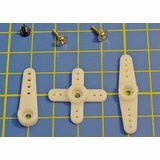 I was looking for a dependable, high-speed and precise thin-wing servo for my competition F5J/ALES gliders. These fit the bill perfectly. I've been using them for 5 years and have not had a single one fail me. I've currently have 16 of them in service and they are absolutely fantastic! You are getting a very very nice 5,2kg torque servo for about 30% less than that other brand and in my opinion, they are just as good. Great little servo for dlg & small gliders ,where room is @ a premium! Excellent quality servo which I have used to replace a pair of old HS125 on the ailerons. The complete lack of 'play' at the servo horn makes quite a contrast to what modellers used to put up with on the old analog servos. Very good value for money. Buenos servos, funcionan muy bien. 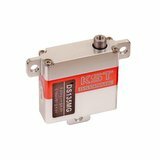 Ordered this product, great quality servos. Great service from hyperflight, my only issue is that the metal control arm was missing form one of the servos. I have tested these and they seem to have substantially more torque than the competing product I had tried before. Also seem very precise with excellent centering and very little slop if any. 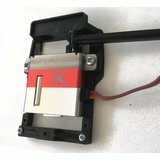 Very nice little servos with good torque and little slop in the gear train im using 2 of these in my LET Ventuscx 6 meter glider for the air brakes and work extremley well .And also resonably priced plus once again rang on one day got them the next from hyperflight, thats very good service. To be fair i've not tested the servos in anger yet but the advice I got was friendly and helpful and the delivery almost quicker than I thought possible. With service like that you start to realise why local hobby shops are disappearing! I made a little test of the servo and all of them seems to work just fine, and are very accurate for the price. The only thing I noticed was the sound of them was different from servo to servo.